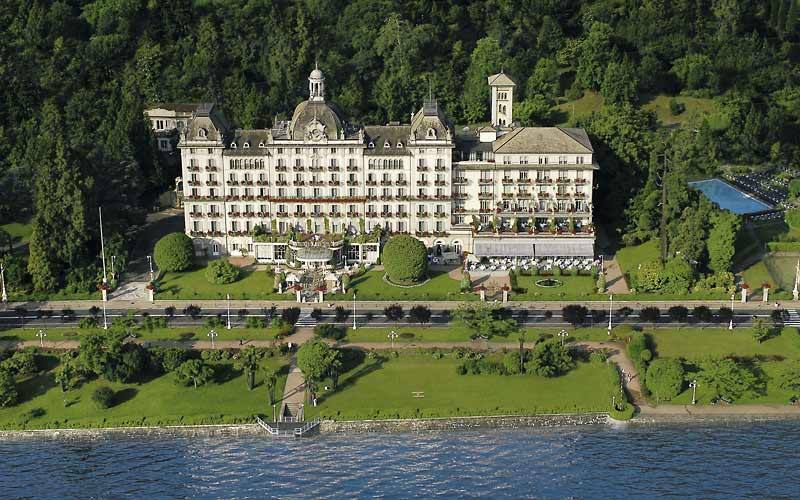 Golf Des Iles Borromees: a golf club between heaven and earth! This facility is located in the Alto Vergante area and is surrounded by a charming landscape in an uncontaminated natural environment some 600 m asl. 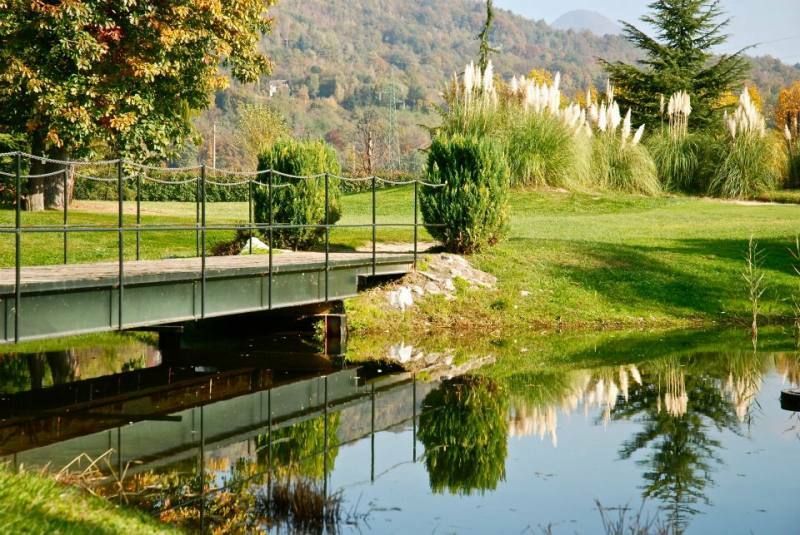 It’s on a plateau above Stresa and Lesa, offering an exceptional view from the course: before returning to the club house from hole 9, players enjoy a view of the Sempione mountains and the Grande Valley. On clear days, the skyline of Milan’s skyscrapers and of the four lakes (Maggiore, Varese, Monate and Comabbio) can be seen with the naked eye from the teeing ground on hole 18. The Alps and Canton Ticino can also be seen from here. The facility has perfect exposure to the: it’s cool in the summer and sunny in the winter. However, the flora enchants above all else: the silver and blue hues of the birch trees follow players throughout the course. Pine, fir and larch trees mixed with oak, holm oak and chestnut trees remind guests of their altitude and of being in the Pre-Alps. The course is clearly natural. Its difficulty, differences in height and hazards were not purposely made; they have been there for centuries. Architect Marco Croze only enhanced or adapted them to what is both a fun and engaging course. The course is open to enthusiasts from April to October. It is closed Mondays in the winter months and it is permanently closed in January. The temperature never exceeds 28° in the hotter months of July and August, and there is always a breeze. 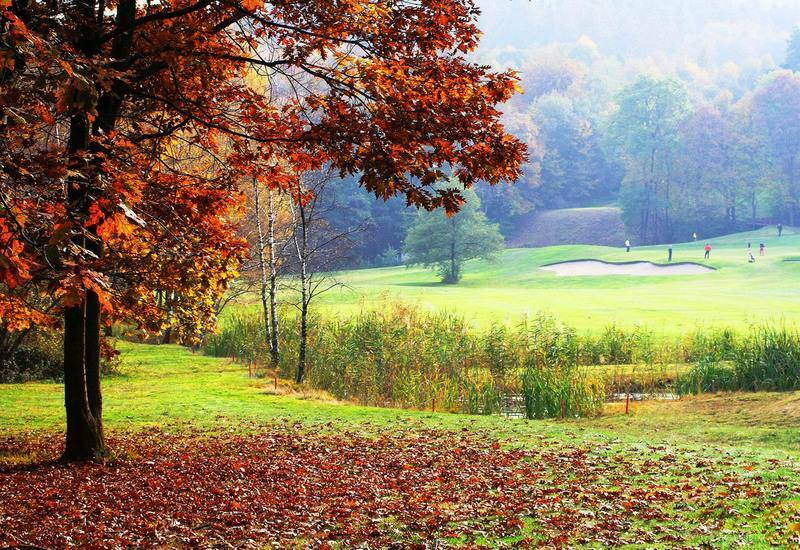 Almost all holes face south and experience the warmth of the winter sun. Access to the course is via a well-marked private road in the municipality of Brovello-Carpugnino, in Alto Vergante about 2 km from the Carpugnino exit on motorway A26. 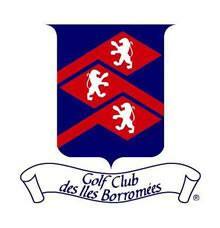 Friends of Golf Des Iles Borromees can also take advantage of a practice green, putting green, pro shop, bar, restaurant, golf carts and trolley and bag rentals. The club’s golf school looks to accompany youth on a stimulating, useful experience so they can learn the values and commitment required to achieve their goals through an educational path that focuses on respecting rules. The activities the youth are involved in aim to promote the fun and pleasure golf should provide, which become the reason for their passion to grow. All youth are expected to be well-mannered and conduct themselves in an exemplary sporting fashion on the course, on club premises and in private, to comply with golf rules both when playing amicably or competitively, and to wear appropriate attire.